Looking for a quick lunch or dinner option? 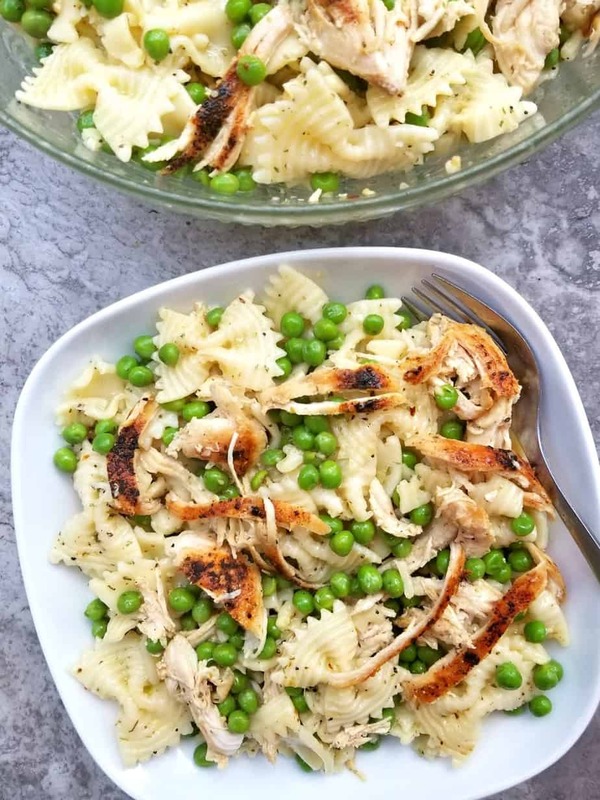 This Chicken Pea Pasta Salad can be enjoyed warm or cold and is ready in no time at all. 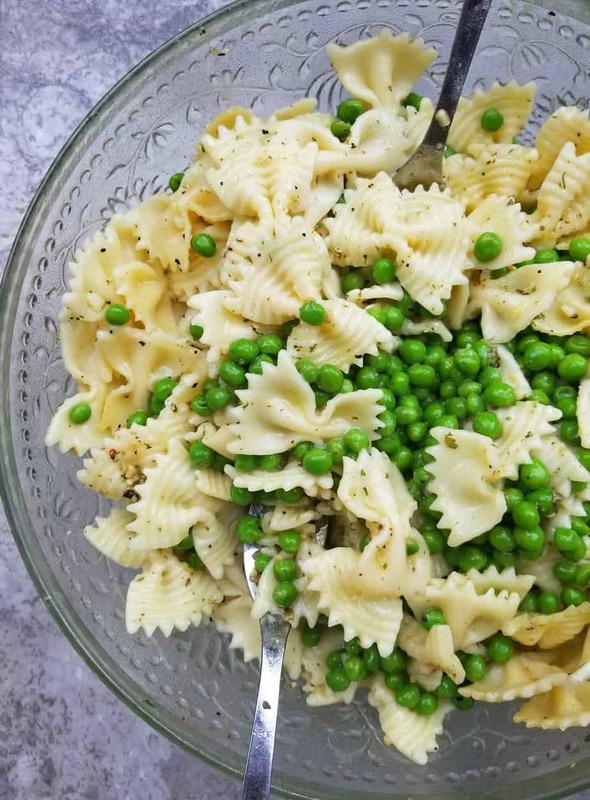 Also this simple pasta salad has it all and can feed a crowd easily, just throw it all together in one big bowl and it’s good to take anywhere! I never really used to like pasta salads, mainly because I found them to be heavy and or covered with an unhealthy dressing. But this salad is different, it is pretty healthy and you can really tweak it to your liking. 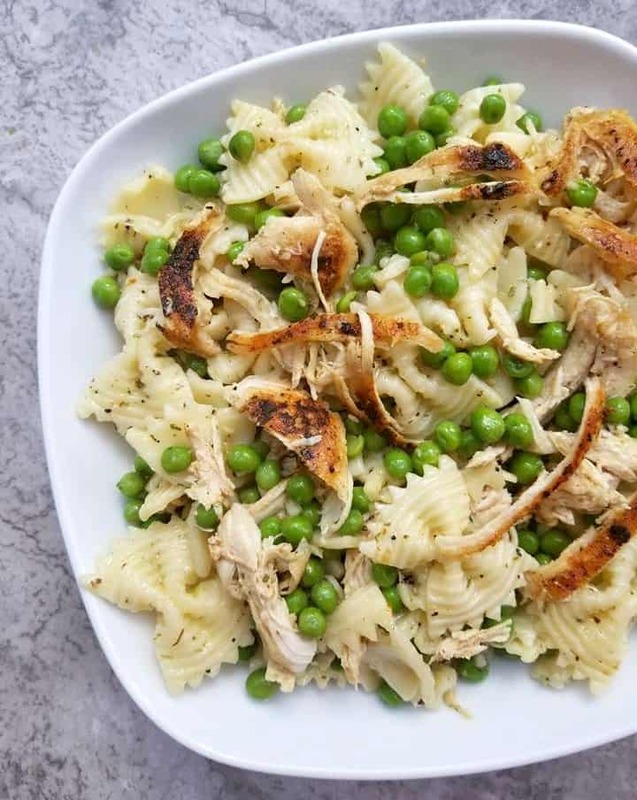 By adding in less pasta, also keep in mind that this type of salad can be refrigerating overnight, making it such a great recipe for really any type of day. Prepare this the night before and you can have a weeks worth of meal preps ready to go! If your on a gluten free diet, simply switch out the pasta for a gluten free variety. If you have been looking at other pea salads recipes and are still debating which one to go with. 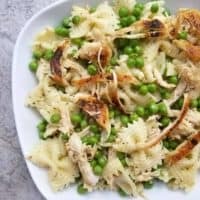 I encourage you to really give this one a shot, it’s one of the most popular pasta salads on this site. 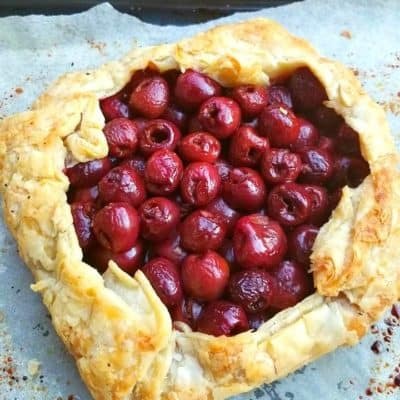 And is something my aunt makes for the family every summer. Which always ends up being gone before the nights end! 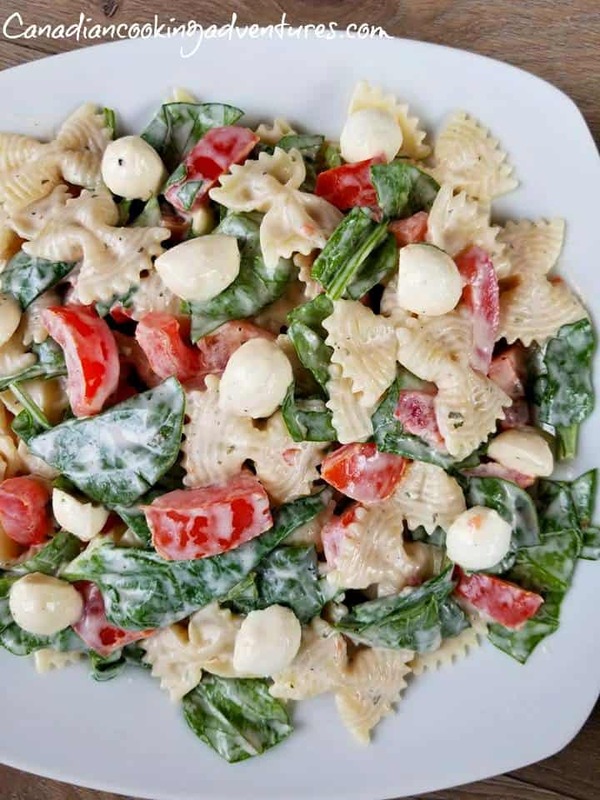 If you’re still looking more simple pasta salad ideas? Simply use my search bar on the sites homepage and you will find my others. 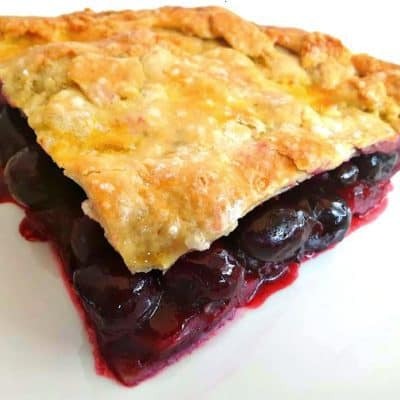 And you should not feel any guilt eating this one as it’s much lower in calories than most of those other recipes out there, because we are not using any heavy dressings. Feel free to add some different ingredients or substitute for some. 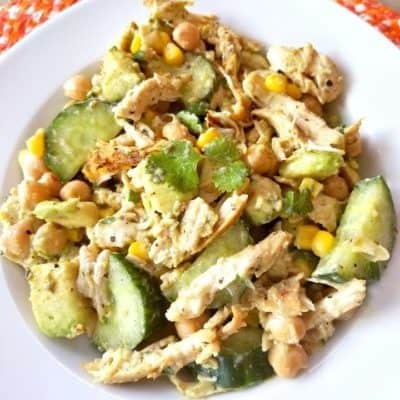 Cooked asparagus, artichokes, leftover spinach, cucumbers or chicken peas could also be a good replacement for the peas, and shredded turkey may be used instead of chicken. 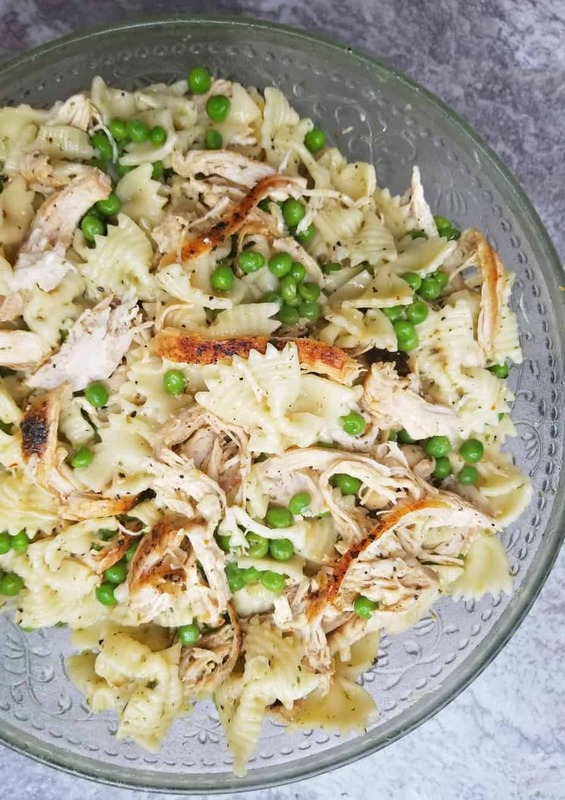 HOW TO MAKE A CHICKEN PASTA SALAD? Simply saute the seasoned Chicken Breasts till cooked. Cook the pasta till al dente. Then toss everything together in a large bowl along with the dressing! Your body will thank you for it eating such a healthy dish and you won’t even miss those high calorie dressings in those others, I promise. Or if you have a favorite low calorie dressing go ahead and use that in replace of mine. But first off try mine, you may be surprised at how simple at tasty it is. 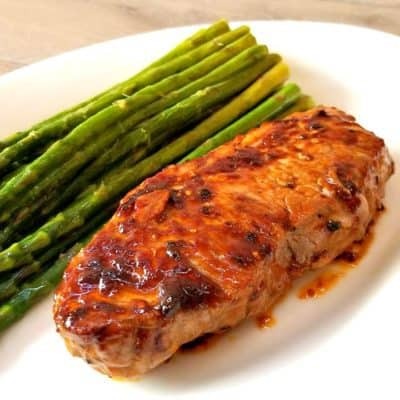 Tossed in a low fat lemon spiced garlic sauce that is absolutely Dee-licious. 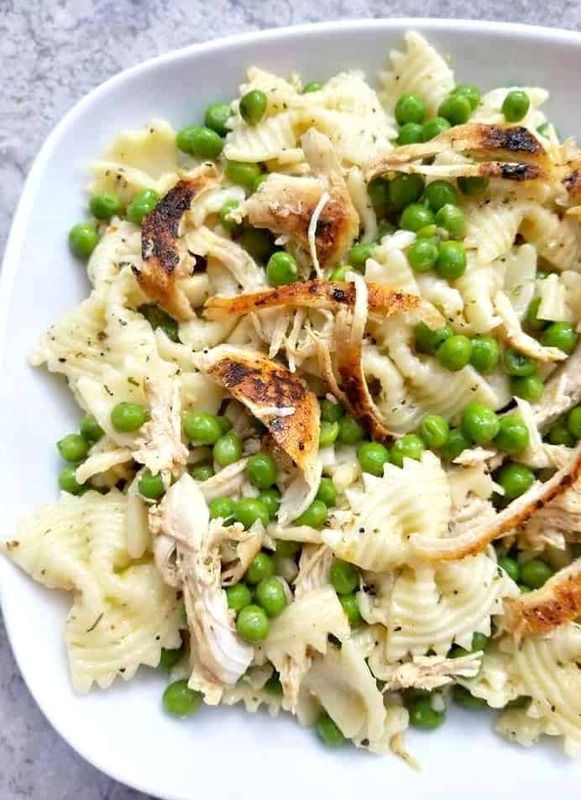 With dish contains just 3 simple ingredients, which consist of bowtie pasta, seasoned shredded chicken and peas. Such an easy salad recipe that is perfect for summer. The only sad part is that it will most likely disappear before your eyes if you have others in the house. What can be easier than this salad? 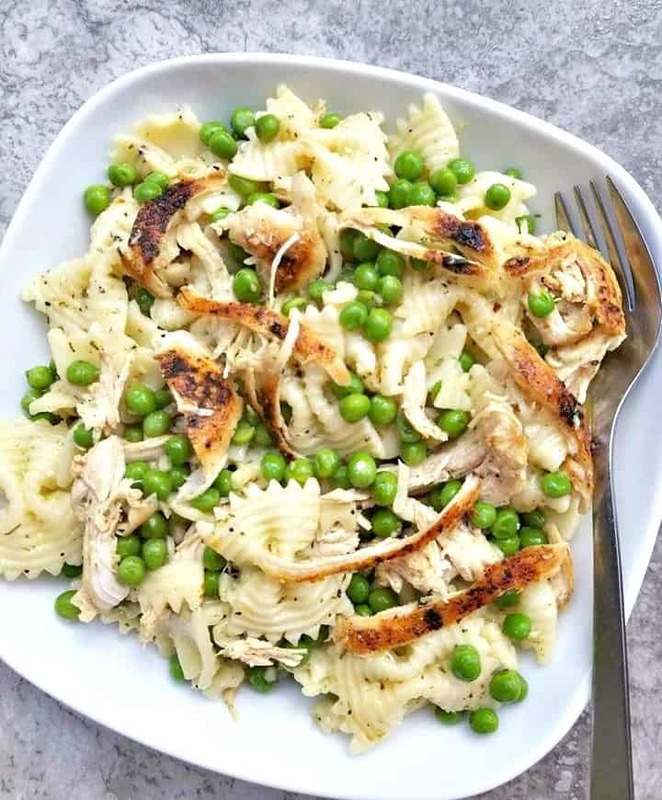 You will start by cooking the bow tie pasta till al dente then during that time you can season and cook the chicken breasts and peas. 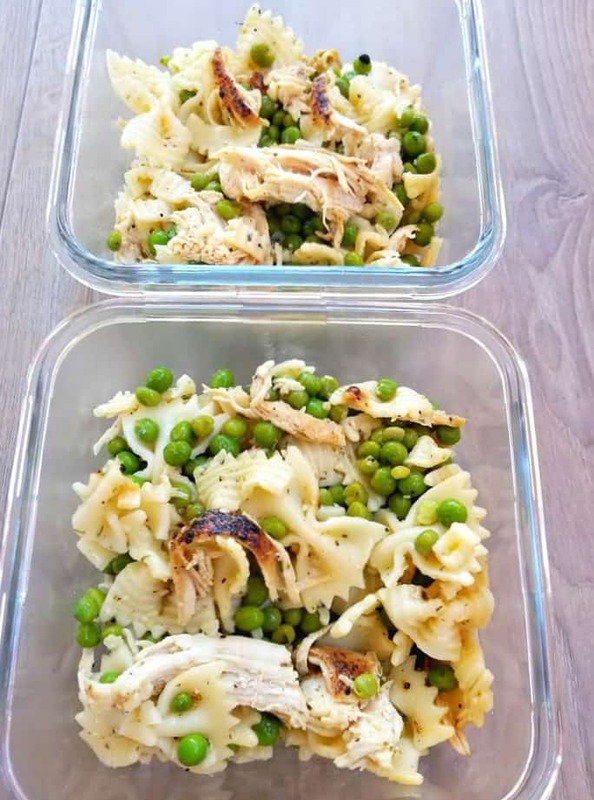 Before shredding the chicken then throwing all together in a light dressing that is sure to please even the pickiest of eaters. 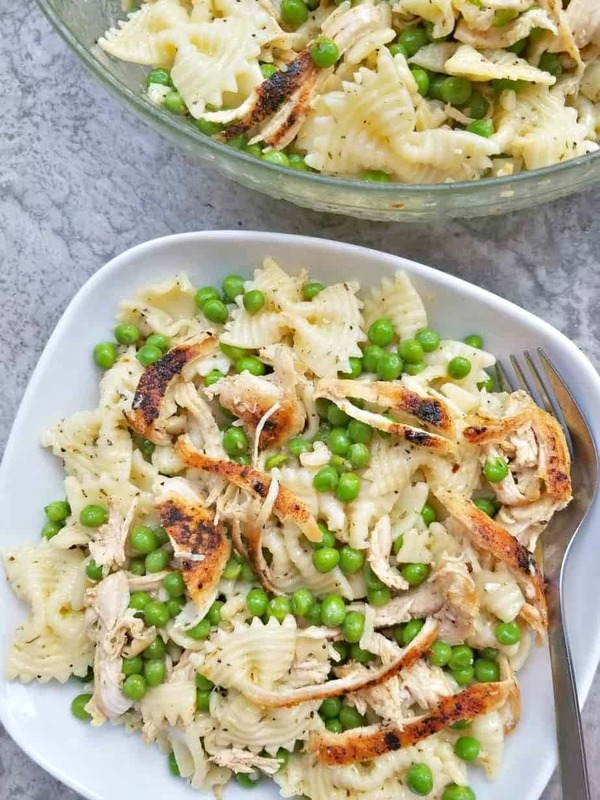 I highly recommended using frozen or fresh peas for this recipe, canned just taste no good. If your not really into peas you can replace them with frozen sweet corn. Just make sure your pre cooking those peas or corn prior of course. Serve it for dinner or save it for the weeks meal preps. 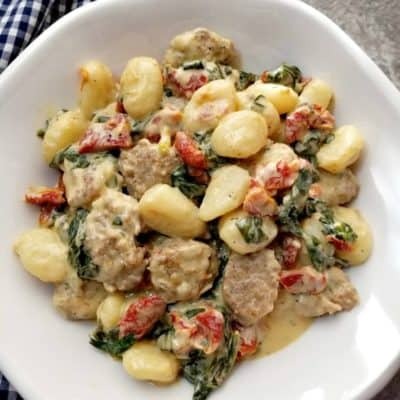 If you loved this recipe? 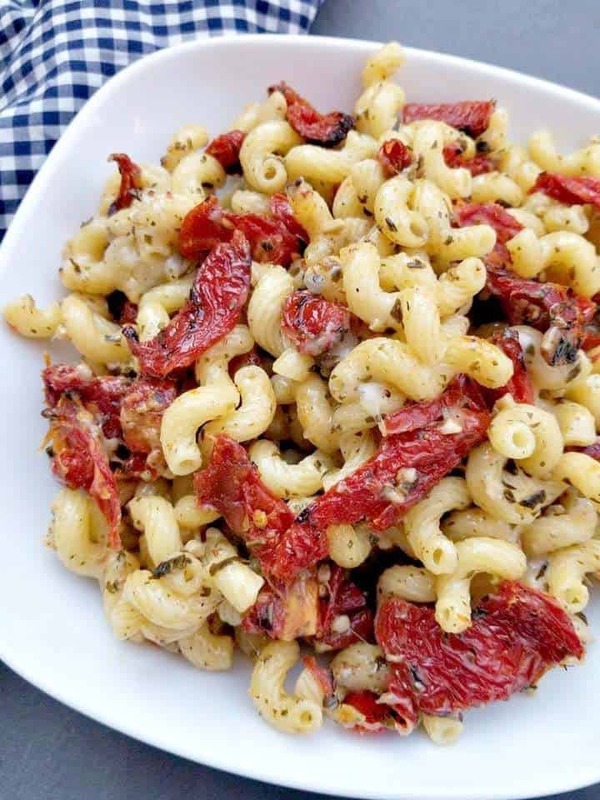 Chances are you will also love some of my other pasta salad recipes. Start by cooking the bowtie pasta in some lightly salted water according to package instructions or until al dente. Once cooked strain under cold water and set aside. Meanwhile, season the chicken breasts on either side with the Szeged Chicken Rub and saute with 2 tbsp of melted butter over medium heat. Flipping over a few times till cooked fully. Remove the cooked chicken to a cutting board and shred with two forks. Now add the frozen peas to a medium saucepan of boiling water, reduce heat and simmer the peas for roughly 5 minutes till cooked. Remove the peas, strain. 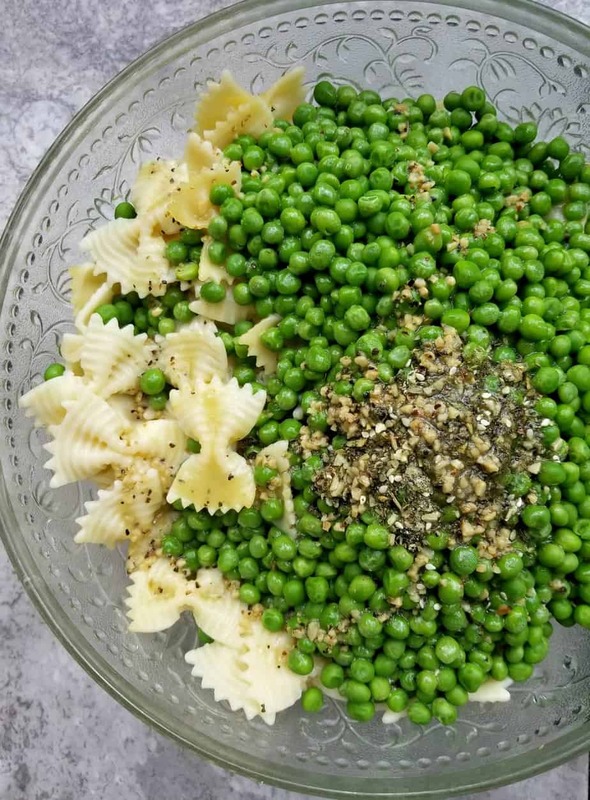 Add the peas to a large bowl along with the cooled cooked pasta and shredded chicken. Toss in the spices, lemon juice and olive oil and toss to coat. Serve warm or cover and place in the fridge to serve cold later. Enjoy! This sounds yummy but I’ve never heard of the seasoning that you are supposed to put on the chicken. What is it and where can I find it? 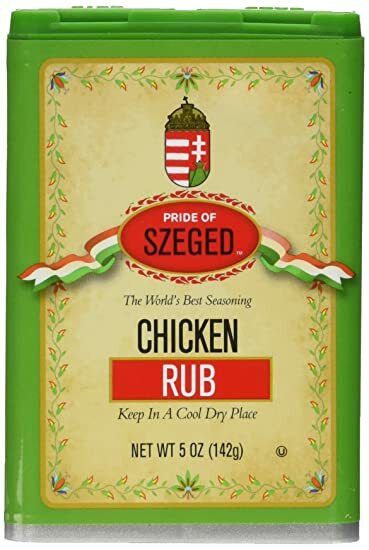 Hello Courtney, google “szeged chicken rub” it can be found in many European delis/markets these days. This is now one of my favorite pasta salads. I’ve made it a few times now and highly recommend using the Szeged Chicken Rub, that spice is amazing! Do you know the calories of this recipe?? Hi Leanne, I have found the calorie counters inconsistent that is why I do not add them to my recipes!